Notification to register - Typically, offenders are informed of their registration duties upon conviction of certain sexual or violent offenses. They may also be notified of their requirements to register via court order, their probation/parole officer, or a notice from the Registration Unit. The offender then initials and signs the last page of the registration form, which lays out his or her responsibilities as a registered offender. The offender is also fingerprinted and photographed. Copies of the form, fingerprints and photo are sent to the Sexual or Violent Offender Registration Unit. required the offender to register as a sexual offender in that jurisdiction. 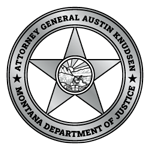 Juvenile violent offenders - A juvenile adjudicated as a violent offender is not required to register in Montana unless ordered to do so by the court. Note: Although the Montana Department of Justice maintains the Registry, it has no legal authority to direct where a sexual or violent offender may or may not live. Unless court-ordered restrictions exist, these offenders are constitutionally free to live wherever they choose. Limitations on place of residence - Montana’s registration statute does not restrict registered offenders from residing in certain areas. However, under MCA 46-18-255, a judge may impose restrictions on an offender’s place of residence if the offender was convicted of a sexual offense against a minor and designated a Level 3 offender. A judge also may impose restrictions on an offender’s place of residence as a condition of probation. Physical address - MCA 46-23-504 requires physical addresses from every registrant. If no physical address exists, registrants must provide directions to their place of residence. Post Office boxes do not meet registration requirements. Offenders must verify their current address and return the form to the appropriate registration agency in person. Status change - Under MCA 46-23-505, offenders must within three days of a change of address, name or student, employment or transient status appear in person and notify the local law enforcement agency with which they were last registered. Sexual offenders are required to register for life, under MCA 46-23-506. Violent offenders are required to register for 10 years from their conviction date or from their prison release date. If they are convicted of a felony offense during that time, they are then required to register for life in accordance with MCA 46-23-506. After 10 years, violent offenders may petition the sentencing court or the district court for the judicial district in which they reside for an order relieving them of the duty to register. The petition must be served on the county attorney in the county where the petition is filed and must be granted if the offender has not been convicted of a felony offense while he or she was required to register. Non-compliant registrants do not have a currently known address or have failed to keep their registration current. Information is provided on these registrants as allowed under MCA 44-5-103(13)(f), which allows the dissemination of information necessary to secure the public’s assistance in apprehending a suspect. Local law enforcement and the Sexual or Violent Offender Registration Unit make a constant effort to locate non-compliant registrants. Please contact your local law enforcement agency with any information you may have on such an offender’s whereabouts. Penalties - A sexual or violent offender who knowingly fails to register, verify registration, or keep registration current, may be sentenced to a term of imprisonment of not more than five years or may be fined not more than $10,000, or both under MCA 46-23-507. Dissemination, photo availability, availability by tier level, and no information available.